Old Port Creek with its wind-sheltered beach and incredible beauty and restaurant nestled in the rocks. The wild beach of La Côte des Basques with its fine sand as far as the eye can see until Spain (to do absolutely). Small fishing port typical and confidential. Nestled in the rocks and its small restaurants with fresh fish and a special atmosphere. 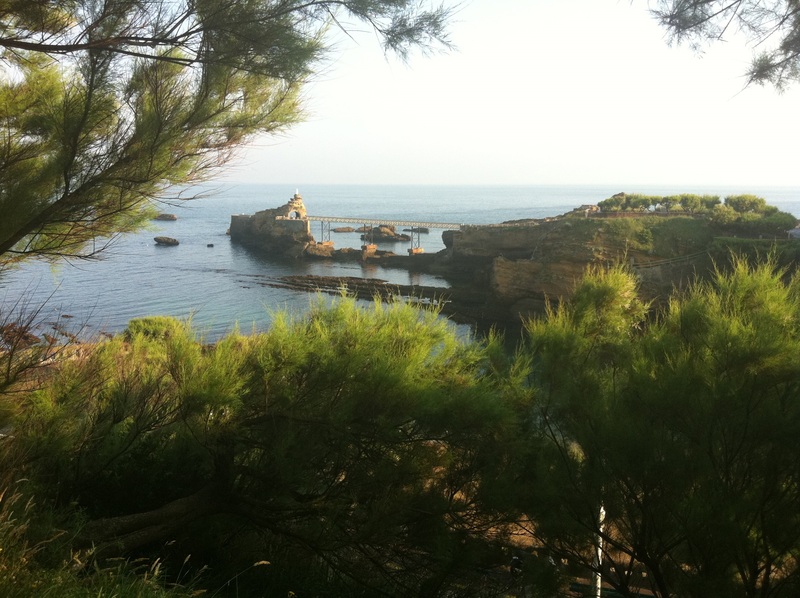 The coastal path that leaves from Biarritz at low tide and takes us to Spain, passing by the villages of Guétary and Saint Jean de Luz, lined with small restaurants impossible to find by road (consult us). The climb of the Rhune on foot passing by the Venta “IASOLA” and visit the return of the small floral villages of the Inland Basque Country (Sare, Ainhoa, Ascain). A trip to Spain with tapas bars in Irun, San Sebastián, Hondarribia and Bilbao. Have a coffee in the Les Halles district of Biarritz, a convivial place. The craft shops and the peasants of our region offer their fresh products. 100 meters from the hotel.